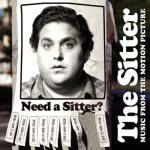 Jonah Hill stars in situation comedy that has almost normally paid off at the box office. It brought its creators USD 34.5 million against of USD 25 million expenditures on its production. Business is business, and there are inevitable risks when you invest your money into something. Especially into something with Jonah Hill, who isn’t particularly shiny in his actor's talent and not a charming pudge. Jonah had better outward appearance when he was not as thick – in 2011, as an example. Besides him, Sam Rockwell stars in the movie among the famous personalities, who is more grown wise and can play completely different roles. But we like him most in roles of charming loonies, totally wacking all his minds. Jonah films approximately 3-4 times less than a tough guy Sam. But he produces and writes also. He was producer, writer and actor of last two large commercially successful films – Jump Street. Three-in-one person! The plot of the film is quite simple: a bummer finally pushed to the outside world by his mother and becomes a babysitter. While he looks after the children, who do not like him, a girlfriend calls him and offers to make love. He rushes to her, taking the children along. And getting into various kinds of funny situations. Usually, simple stories collect a lot of money, but if you do them with wit and mischief. Not as here – being just funny Jonah. Music compilation is not very diverse. Rap dominates here. Second place goes to R’n’B. Apart from them, it is interesting to mention Apache/Jump On It, Children’s Story and Go Outside (Menahan Street Band Remix). These songs are the most interesting pieces of other genres.